Think of these events like Speed Dating, but attendees are meeting for mini 1:1 consults with various coaches, healers, doctors and industry experts to pick their brains, ask questions and relay their issues. 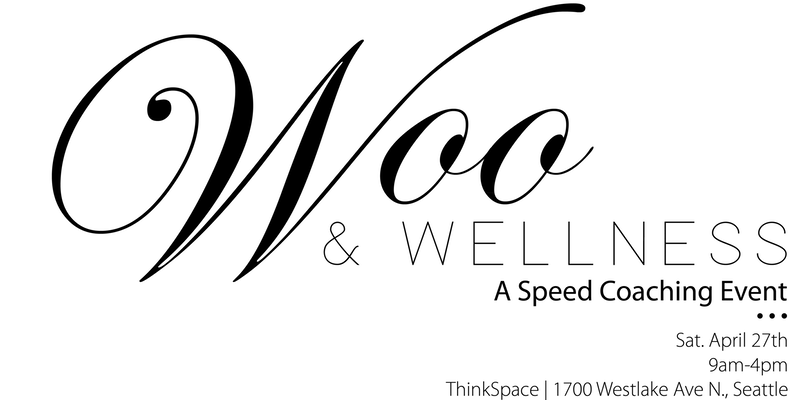 After your Speed Coaching, you will sit in on two 30-minute break-out sessions led by two different Coaches/Experts covering very interesting and diverse topics within the Woo & Wellness space. LUNCH: buy separately on The Custom Plate’s website (link to come), bring your own or walk nearby and grab a bite. AFTER-PARTY: Now that we’re all blissed out, we end our day with a wine & cheese party to mix n mingle, meet each other and meet the coaches & healers you didn’t get to meet earlier in the day. MARKETPLACE/POP-UP SHOPS: There will be several pop-up shops and practitioners, products and goodies for you to peruse, sample and purchase to support your wellness, spiritual and health goals. 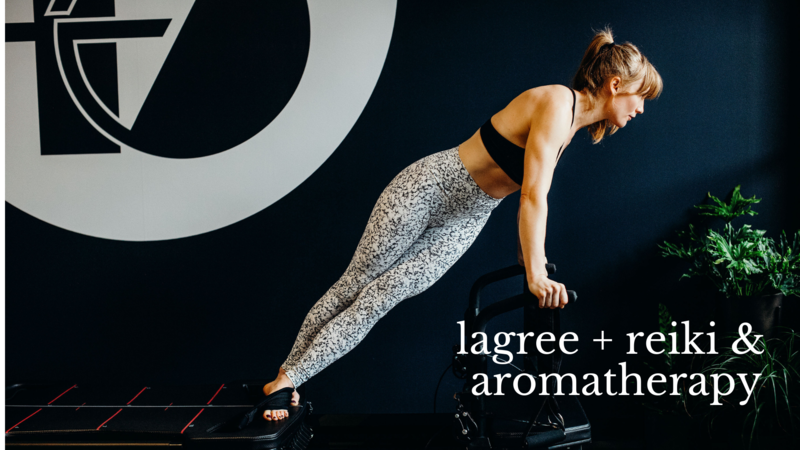 We believe every fitness practice could benefit from a little energetic healing! 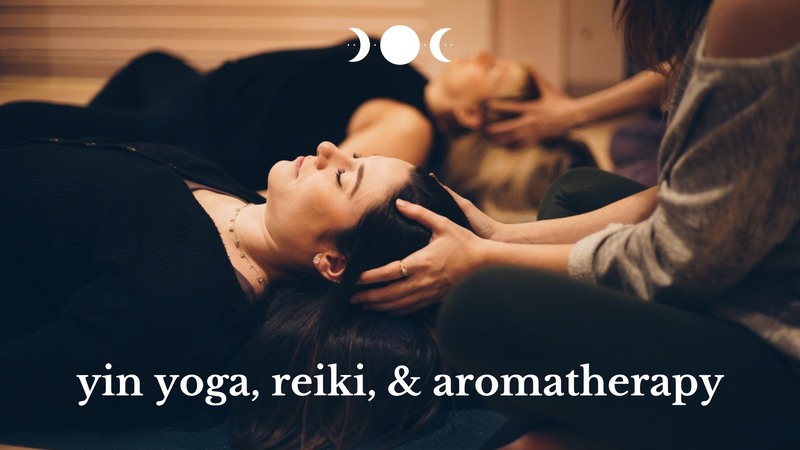 Join Three Moon Collective and Studio 45 for a 45 minute Lagree class, followed by a guided meditation, reiki (hands-on energy healing), & aromatherapy provided by Danielle Kurtz and Hannah Exner. At Studio 45 each 45 minute workout is fun, effective and efficient. All classes are centered around the Megaformer, designed for a high‐intensity, low‐impact workout resulting in total body conditioning. Every move performed works multiple muscle groups often up to 600 muscles in one move. The result is long, lean muscles, increased strength, and maximum calories burned. The cooldown will consist of a guided meditation to balance the energy body, while Danielle and Hannah provide hands-on healing paired with essential oils as you release tension and absorb the benefits of this energy-infused workout. Join us for this unique collaboration! Only 10 spots are available, so snag one while you can. Join Three Moon Collective and Danielle Kurtz for a relaxing evening of Yin Yoga complemented by Reiki (hands-on energy healing) and aromatherapy. Yin Yoga is a slow-paced practice of longer holds and gentle movements which when accompanied by Reiki can allow and encourage energy to be received on a deeper level. Danielle and Hannah will provide this hands-on healing paired with essential oils as you release tension and melt into these calming poses.